Combine multiple PDF files into one single file using a free application. You can arrange these pages in different ways. In this example, I have 4 separate pdf pages. I’m gonna merge all these 4 pages into a single page. You can download the free application from this website.Window version and Mac versions are available here. Click on the download button. Now press on the ‘SKIP ad” button. From here you can download the free pdf merge software. 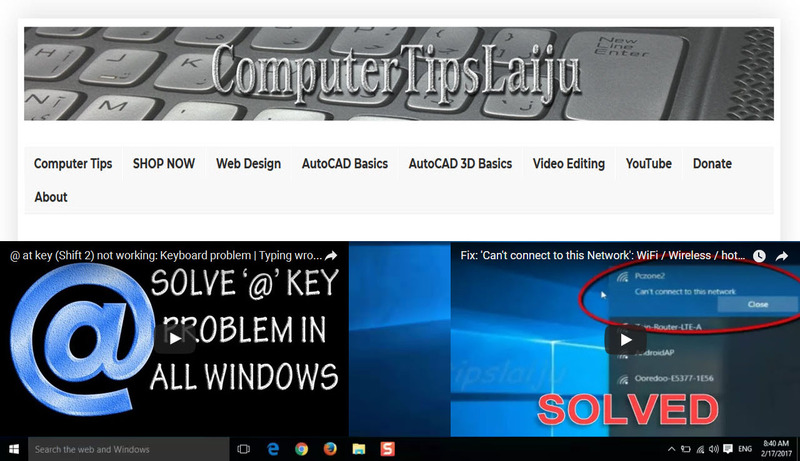 If you are using windows, download the windows version. For mac, download the Mac version software. Click the download button and save the files to the desktop. This is the setup file I have downloaded now. Double click on it to install. Click yes button here. Choose your language and click ok. Accept the license agreement and complete installation. Now installation is completed. Click finish and Launch the application. You can use these buttons for adding files and folders. I will click on this add files button. Here I can browse the files. I will open desktop and open folder containing pdf files. You can use this button to preview files. Here I have 4 pdf pages, 1, 2, 3 and 4. Select all these files and open. You can use these buttons for positioning files- up, down, and delete unwanted files. In output settings, there are different layouts and options. You can choose paper layouts. Paper A three, A four, A five, letter, legal etc. You can choose how many files you need on one page. You can choose paper orientation and security password for the file open and edit. Here I will choose the A4 layout, 1 file in 1 page, auto orientation. I don’t want any password here. I can customize the output file name and output folder. Click the Build button to merge the selected files. Now the selected files are merged together. You can see the file name and the preview. Open the file to see the content. All PDF pages from 1 to 4 are combined in one single file. You can use this free version. 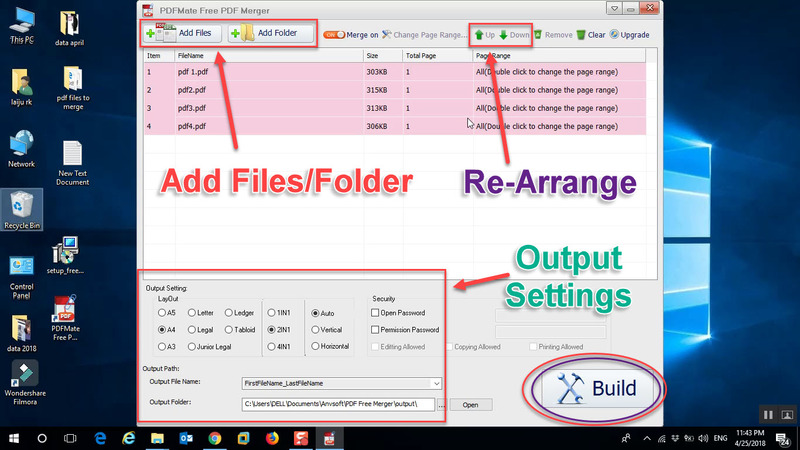 If you want to convert the PDF to 6 different file format including word, text, and HTML, upgrade to All-in-One PDF converter. Please Subscribe and thumbs up. Thank you.